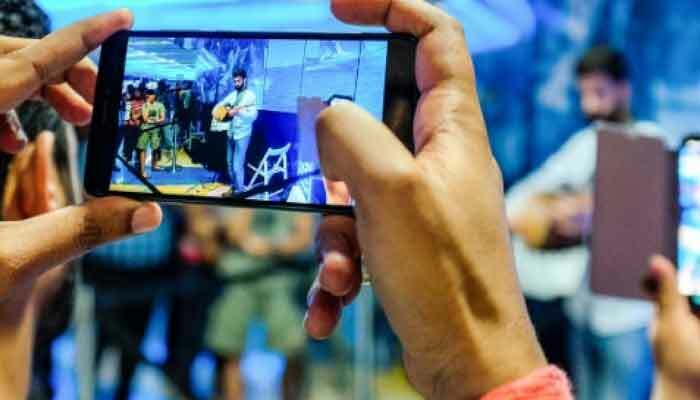 DUBAI: In many countries it is a common sight, but when musicians began playing their instruments at a Dubai metro station, surprised commuters stopped to take photos of the rare performances. The emirate is known among its residents for its pristine streets and impeccably clean metro stations -- where commuters can be fined for chewing gum, or even drinking water, on a train. Khadija played her guitar, as passersby listened intently. She was performing as part of the week-long Dubai Metro Music Festival taking place across five stations. "I am very happy because they chose me, and I am proud to be an Emirati doing this here," the 19-year-old told AFP. "I am excited to perform for the public and grab their attention," she said, as her friend stood by nodding in encouragement. Khadija played the guitar continuously and only took her eyes off her fingers once to readjust her thin black veil. Twenty-five musicians from different countries -- including Portugal, Indonesia, Russia, Saudi Arabia, Jordan and Lebanon -- are participating in the festival that ends on Saturday. While some musicians were playing traditional instruments, others were using more creative methods, such as glass and old typewriters. The metro in Dubai -- home to three million people, most of whom are expatriates -- was launched in 2009. Egyptian Amir Hassan, one of hundreds of thousands of people who use the public transport on a daily basis, said this is the first time he has ever seen a performance in the station. "I´ve seen performances in malls and other centres, but this is a first," he told AFP. "If I had more time, I would stay longer and watch." Organisers said the goal behind the festival was to "break that routine" of the daily commuters. "Music spreads happiness and positivity to regular metro commuters or visitors," said Shaima Alsuwaidi, a manager at Brand Dubai, the creative arm of the Dubai government´s media office. Dubai -- with its opulent shopping malls and luxury resorts -- welcomed last year a record 15.9 million tourists. The city-state, one of seven sheikhdoms that make up the UAE, aims to attract 20 million visitors annually by the time it hosts the six-month global trade fair Expo 2020.